It's Day 3 of Pack Ahead Bento Week and everything has been going rather swimmingly. (Which is a rather appropriate term, given the theme of today's lunch.) The kids have said both of the previous days food has been just the same as normal, which is another plus to the Easy Lunchboxes. 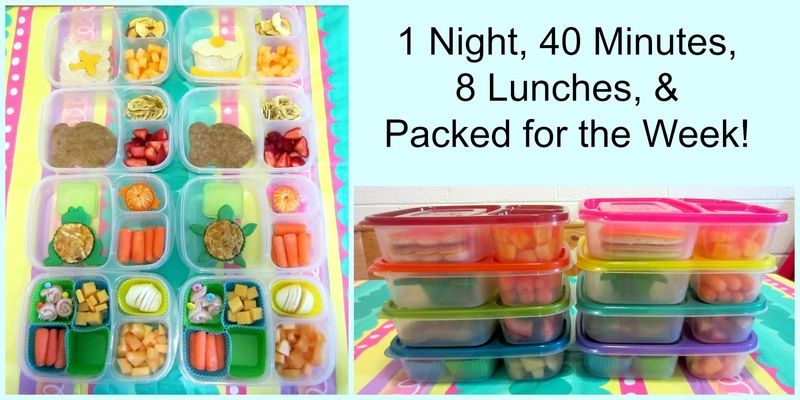 It seems no different than storing the cut fruits, veggies or muffins in regular sealed containers. 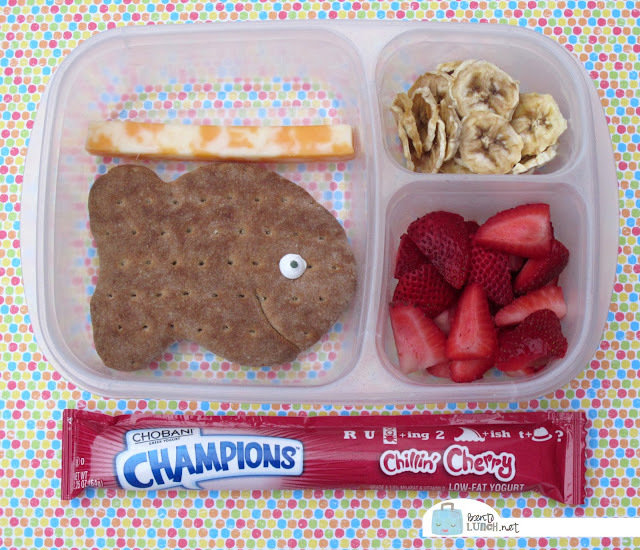 Today, both kids had cream cheese and cantaloupe jelly sandwiches on honey wheat Goldfish bread. For packing ahead, I opted to do a thinner layer of cream cheese on either side of the bread and put the thicker jam layer between, as the jam is what will make the bread messy. For side dishes, both kids had some dehydrated bananas, strawberry slices, a cheese stick leftover from my ski-snack stash, and a Chobani yogurt tube (I won a case for a picture of Ben skiing). Sunday evening assembly included making the sandwiches, adding the strawberries (I precut my fruit), and adding the banana chips. Morning prep included adding the cheese stick and sugar eye to the fish bread, along with filling water bottles.